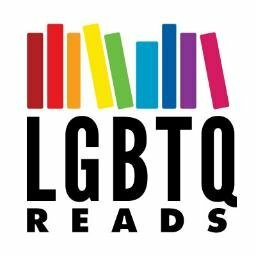 You may remember Alex Harrow from their awesome recent cover reveal on LGBTQReads, and today they’re back with one of our favorite topics: found families! In this case, they’re specifically talking about found families in queer spec fic, so I’ll step aside and let Alex take it away, but not before noting that info for their new book, Empire of Light, is at the bottom of the post, so check it out! Found families almost always form by accident instead of by blood and that’s what make them so powerful: there’s choice involved here. That conscious (or maybe in some ways unconscious) choice toward connection and community. Found families are the ones we’ll happily set the world on fire for or just show up with ice cream and rosé at ungodly hours of the morning. They’re the ones that will totally send an extraction team to get you out of a bad date and might not bother getting out of their PJs to hang out with you. In fiction, especially queer fiction, just as in life, found families are very much the backbone of queer people. They might be cobbled-together, they might be messy, but that just makes us love them even more, because no one exists in a vacuum. Which is the second reason why I love found families so much: they’re an excellent remedy for tokenism, because when was the last time you’ve ever seen a queer person in isolation? Yeah, I can’t remember either. Even if you are writing a coming out story, I find it very hard to believe that your main character would be the only one. And let’s not forget that creating found families around our characters give so many opportunities to create characters all across different spectrums of identity, sexuality, and so many intersections thereof. There is so much potential in found families, why not use it? Speaking of, found families aren’t always clear cut, nor should they be: they can be as messy as any other family and friend groups because everyone is different. So, yes, found families can be excellent character motivation, along with backup and community, but they can also be fantastic sources for conflict. How many of us always get along with our friends and family members? Relationships are in constant flux, and this is such a great way to explore change and growth in them. Just because characters stick together and would go through fire for each other doesn’t necessarily mean they always have to like each other, after all. As both a reader and an author, I’ve always admired writers who manage to weave complex found families together because they allow readers to identify with so many more characters than just their main characters. Found families can and do absolutely become the backbone of stories, just as they become a backbone of our own lives. But in order to do so, they have to be complex, multi-layered, and yes, often messy, because if everything is smooth sailing, where’s the story and conflict in that? Finally, let’s not underestimate the ways in which found families create homes, both for characters and for readers, because to many of us, that’s exactly what they are. Found families create a microcosm of belonging and an environment for characters to just be themselves and to so many of us, that feeling right there, is everything. It makes all the other stuff absolutely worth it. That’s why I dedicated Empire of Light to found families everywhere: because of all these reasons and more. Follow Alex on Twitter @AlexHarrowSFF or visit their website at alexharrow.com.